Max always looks so silly (or slightly terrifying) when he lays on his back & hangs his head over the edge of the couch. 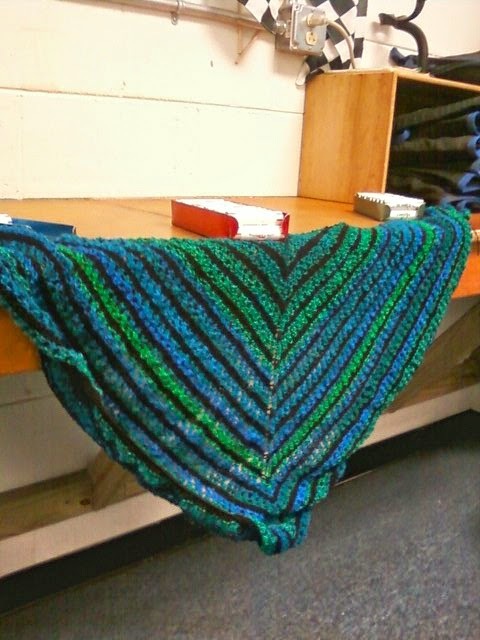 I finished the Monarch shawl while I was at work over the weekend. One full day ahead of schedule, I'll have you know! It obviously needs to have the loose ends woven in & a good blocking. I finally got around to blocking the Ladder scarf. I love the subtle, manly browns & grays of the yarn. Meanwhile, more deer have come to visit. I never realized what big ears deer have. They look like they could fly. Maybe they really are Santa's reindeer.